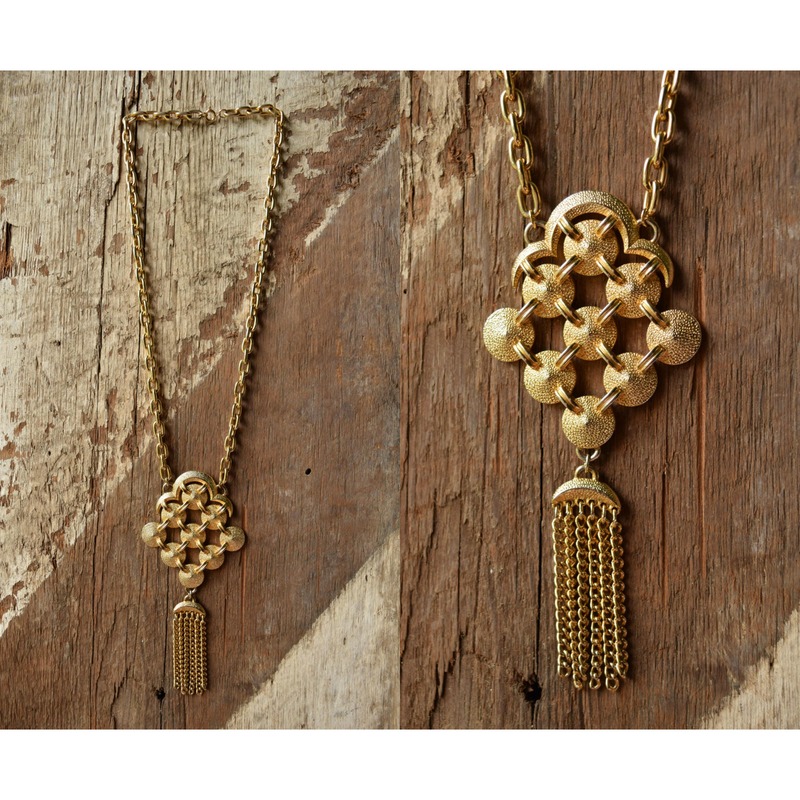 Give in to style with this dangle chain pendant necklace. Gold toned and super retro, this bold statement piece is perfect for a night out and is even work appropriate when worn with a high necked blouse. It features two sides, each has round accents arranged in a diamond shaped with different textures for a unique look. The bottom of the pendant is finished off in a small cascade of chains. Good previously owned vintage condition. Visible surface wear on the chain, pendant edges and clasp. Please know colors can vary with device or settings.